Question: Can I represent myself in my Alabama DUI case? Answer: Any citizen accused of a crime does have the right to represent themself in a court; however, it is highly advised against because of the various pitfalls that are included within our DUI statute and the penalties that you could face. So, it’s highly recommended that you contact a DUI defense lawyer to evaluate your case and defend you in court. Question: Is it possible for a police report to be inaccurate in Alabama? If so, how can a person defend against this false evidence? Answer: It is absolutely possible for a police report to be inaccurate. All a police report is an officer’s opinion written on paper. In defending a DUI case, it’s very important not to look at the opinion but rather the underlying facts that the officer relied upon in informing that opinion. Therefore, in all cases that we defend, we gather objective information—such as roadside videos, body camera information, radio traffic—to try to balance and compare what the officer’s opinion is in his report vs. what actually happened. 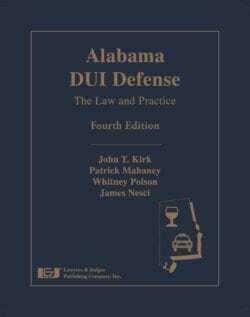 Question:What is an Alabama DUI police report? Answer: In a DUI investigation, police officers, state troopers and county deputies will use certain protocols to memorialize the events of the investigation. One of those things is they fill out what are called arrest and incident/offense reports. Within these reports, the officer will make notes and statements as to his recollection of the stop of the vehicle and the roadside sobriety investigation. Question: What is a look back period? What is the look back period for a DUI in Alabama? Answer: In DUI jurisprudence, the look back period is the term used in how far back a sentencing court can look at a person’s record to determine the number of prior DUI convictions they have to then be used to increase the person’s sentence if they’re convicted or plead guilty. In Alabama, the current law says that a court can look back five years for mandatory sentence enhancement; however, a sentencing court can look at a person’s entire lifetime record from a discretionary standpoint. In terms of the look back period, you go by the date of conviction not by the date of arrest to determine the number of convictions within the look back period. Question: Can you explain what happens when someone pleads guilty to DUI in Alabama? 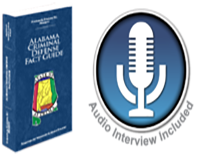 Answer: In Alabama, when someone pleads guilty for DUI they are then sentenced by the court. The range of sentence is dictated by the number of prior convictions the person has within a five-year period of time. As well as being sentenced, the person also is ordered to do a mandatory drug and alcohol assessment and then complete the required classes and monitoring. The person’s drivers license will then be suspended, as well as the potential to have to have an ignition interlock device installed in the vehicle. Question: Can divorce, custody of children and adoption be impacted by a DUI conviction in Alabama? Answer: A collateral consequence of a DUI conviction could be a negative impact on a child custody situation pending in a divorce case and/or a family wanting to adopt a child. In those types of matters in those types of situations, the court will look at the best interest of the child and, obviously, the best interest will be to be placed in a safe environment. If someone is convicted of a DUI, that could be used against them in having custody granted, visitation rights or the ability to adopt a child. Therefore, it’s very important to aggressively defend a DUI case prior to a conviction to avoid that potential collateral consequence. Question: Will an Alabama DUI arrest and/or conviction show up on a background check for a job? Answer: A DUI arrest and/or conviction could show up on a background check for a job. When you talk about records or background checks, there’s really three different types of records that a potential employer could look at: number one would be a driver history; number two would be just a generic background check; and then number three would be an arrest history. On a driver history, only a conviction for DUI would show up. So as long as the case is dismissed, there should be nothing on the driver history. In terms of a generic criminal background check, only, again, convictions should show up; so, as long as the case is dismissed, that record should remain clean. However, the arrest history is something that’s there forever once you have been accused of a DUI. However, if your case is dismissed, now in Alabama you have the right to seek what’s called an expungement and even have the arrest history cleaned up. So the bottom line is it’s very important to aggressively defend your case to protect those three records in terms of a potential future employer doing a background check.